I liked Rage enough, but I wished humor wasn’t absent in the whole book. 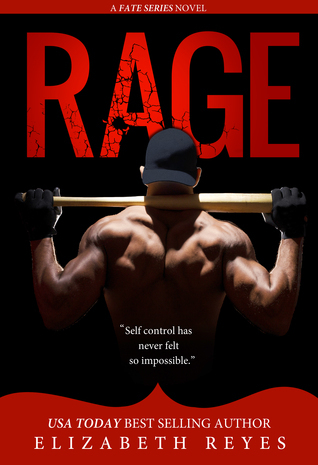 One thing is never absent in an Elizabeth Reyes book: short-tempered alpha males. Sometimes, I think I had enough of it, but then this author knows how to keep the story interesting despite the similarity of the male MCs in every book. I liked how she delivered Rage, though I really wished we had more humor. The intensity wasn’t bad, but it was stifling. I didn’t like how I was introduced to the story, though. The prologue was unnecessary. It felt like the author eased me into their world, briefed me on what was happening before leaving me to observe the chemistry of the MCs. I never like that in books. I want the story to feel natural. The characters were okay. Clair is adorable, though way too perceptive for a kid. Addison had the spine to be firm on her decision, though there was a time that she still gave in too easily. AJ is the typical Elizabeth Reyes hero, so I don’t have much to say about him. I’m not fond of the ending. It’s too convenient for AJ. It’s also a downside for Addison. I mean, if that were me, I would be more careful even if I was sure of the guy. She’d been burned once, but it felt like she didn’t learn her lesson. Granted, AJ was it for her, but still. I wish that particular unexpected addition wasn’t thrown into the mix.